There are 21 companies listed in our Auto Body Repair category for Longmont. This page shows listings 1 to 20. If you'd like to check the Auto Body Repair category for other cities in Colorado click a link on the left. 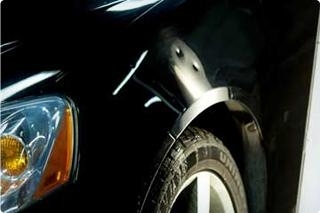 Gerber Collision & Glass provides quality auto body repair for all makes and models of vehicles. Our technicians are I-CAR trained, the standard in our industry. All of our locations have achieved the I-CAR Gold Class designation, which only 11% of repairers nationwide have. This reflects our commitment to ensuring that our technicians are up to date with the necessary training to repair todays complex vehicles. Gerber is fully equipped to repair both foreign and domestic vehicles, and use a computerized paint color matching system for undetectable results. Not all body shops are equal when it comes to quality vehicle body repairs, however, when you choose Gerber Collision & Glass, you are assured a high attention to detail and a nationwide lifetime guarantee on your body work for as long as you own the vehicle. 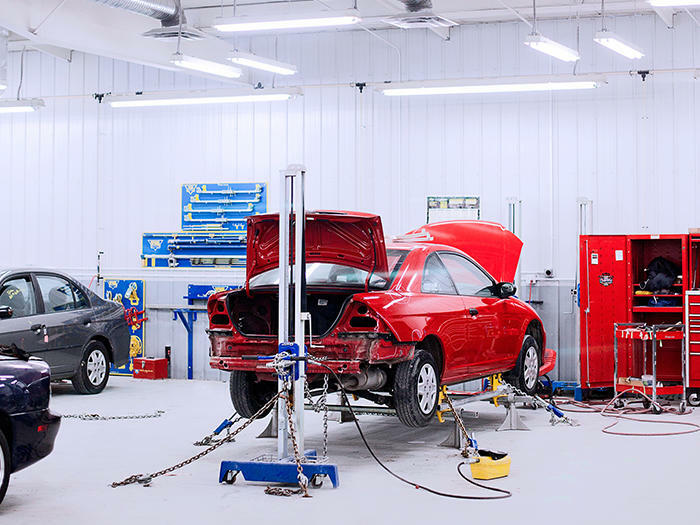 Our auto body repair shops are staffed by professional auto body repair specialists, auto body painters, as well as highly trained collision auto body repair estimators. Together, we work as a team to accurately assess vehicle damage and coordinate repairs necessary to get you back on the road safely. Our auto body repair estimation process helps identify visual and hidden damage caused by a motor vehicle accident. This attention to detail during our collision repair estimation process ensures that we detect everything necessary to bring your vehicle back to its pre-accident condition. Gerber Collision & Glass is proud to offer Paintless Dent Repair (PDR) at select repair center locations. Our Paintless Dent Repair service is a great alternative to traditional auto body repair and in many circumstances can help save you time and money. Paintless Dent Repair (PDR), also known as Paintless Dent Removal, utilizes specialized tools and techniques to remove a variety of dents and dings that would otherwise need to be fixed using traditional repair methods. Since no sandpaper, body filler, or auto paint is used in the repair process, Paintless Dent Repair (PDR) saves on labor and materials. Advantages of Using Our PDR Service? • Save time and money. Repairs often completed in one day. Need your vehicle fixed now but don't have the money available to pay for repairs or that high insurance deductible payment? Gerber Collision & Glass can help by offering 6 Month interest free financing. So stop in at any of Gerber's convenient locations to apply today. Once approved you can arrange for repairs and have up to 6 months to pay. Get an instant online auto glass quote below, or call 877-7gerber (877-743-7237). You will be able to schedule an appointment online at the end of the quote process. To schedule your mobile auto glass appointment online, visit our auto glass quote page or call 1-877-743-7237 to speak with a Gerber Collision & Glass Representative. Our highly trained, certified technicians install only the highest quality glass and sealants to ensure your new windshield is as good as new. Gerber Collision & Glass offers same-day auto glass installation and repair service, direct billing to insurance companies and, as always, a lifetime guarantee. Trust the windshield replacement experts at Gerber Collision & Glass to help you get back on the road in no time. • Free mobile service - we come to you! A small crack or chip in your windshield is a significant safety problem. Gerber repairs windshield chips by injecting special adhesives into the damaged part of the glass. All repairs are covered by our lifetime guarantee. Many insurance companies waive your deductible and cover the cost of windshield repairs with no out-of-pocket expense to you. Ask one of our helpful representatives if you qualify. Get a Windshield Repair Quote Online or call us at 877-7gerber (877-743-7237) for immediate assistance. Our mobile windshield auto glass repair services provide convenient onsite windshield replacement and repair. Using our mobile auto glass services will give you the same great windshield auto glass installation that we offer in-shop, but with the added convenience of Gerber Mobile Auto Glass Services coming to a location of your choice to perform the work. Gerber Collision & Glass provides instant online auto glass quotes and scheduling for our mobile glass services. Our mobile auto glass services can be selected (at no additional cost), at the end of the auto glass quote process. Get an instant windshield auto glass estimate today to schedule your mobile auto glass appointment with Gerber Collision & Glass. Additionally, you can contact any of our auto glass repair centers directly to arrange for onsite mobile auto glass repair. All of our mobile auto glass services come with a written lifetime guarantee for as long as you own the vehicle. That's true piece of mind and a great reason to try our mobile auto glass services next time that you require auto glass repair.